If you are an aspiring do-it-yourselfer, you may find that your tool arsenal continues to grow every time you take on a new project. While all of these tools have been helpful to complete your light to medium-duty jobs, you might still be lacking the power needed to accomplish the bigger tasks. That’s where the best rotary hammer drill comes in. Many heavy-duty projects regarding home renovations, demolition work, framing applications or even building a new retaining wall are going to require the use of this tool. Having the best rotary hammer drill is going to help you to tackle most any tough do-it-yourself project. To effectively drill holes into cement, you only have a few options. Purchasing the best rotary hammer drill, otherwise known as a rotary hammer or use the hammer drill which is a different tool altogether. Rotary hammer drills are superior to hammer drills and we will be focusing our time on this monster of a power tool during this review. I’ll explain a little later on what the differences are and how both tools compare to one another. This drill uses a rotary mechanism which moves the hammer in a circular motion. This is then combined with a powerful hammering action that drills holes right through ceramic tile, masonry and thick concrete. You’ll find two types of rotary hammer drills: the SDS rotary hammer and the ordinary hammer. SDS technology offers a superior hammering motion with explosive power. A basic rotary hammer drill is good for medium-sized tasks but the SDS version is more versatile. You can use it as a regular power drill, switch to a rotary hammer model or use the rotation aspects. It’s like three tools in one. Let’s work to find the best rotary hammer drill for you. The more expensive line featured in our best rotary hammer drill choices are going to be geared more toward a professional user. Most consumers working on the occasional project at home aren’t going to need a drill this extensive or expensive. For working in the contracting field, this selection of the best rotary hammer drills is priceless. The small amount that you will pay related to the power, versatility and convenience is worth every penny. This DeWalt drill is at the top of our pick of the best rotary hammer drills for good reason. It is a high-performance drill that features a brushless motor and 3.5 joules of impact energy. The SHOCKS Active Vibration Control makes this tool easy to use even for long periods of time. In addition, the Extreme Run Time and balance design make it a practical choice when working all day long. The large diameter hole drilling capability can get through even the hardest concrete. It also features the patented E-Clutch system which allows the user enhanced control when facing a bind up situation. That also minimized sudden torque reaction as compared to a standard clutch. With 1,200 in-lbs of peak torque and up to 2,000 RPM, you are prepared to drill any project quickly and easily. You’ll maintain optimal speed during the entire application without ever bogging down the system. This is true even when using large bits. With durable German engineering, you can expect the unit to have a long service life. On top of that, the compact size allows for access even when working in tight areas. With three speed settings to choose from, you can expect optimized application versatility. The DeWalt hammer drill also has three LEDs with 20-second delay after the trigger release. This is ideal for providing visibility without creating unnecessary shadows. The 1-handed loading ¼-inch hex chuck features an easy grip sleeve and accepts 1-inch bit tips. As with many DeWalt power tools, you’ll also enjoy the peace of mind knowing that you are covered by a 3-year limited warranty. Keep in mind that this model will not come with the battery or the charger. As with any high-end DeWalt power tool, the regular customer base is loyal and loves using the products. One customer referred to this model as the “concrete eating machine.” Another user stated the difference between this unit and a regular hammer drill was amazing. He claimed that it can cut through concrete in just 1/10th the time. This sleek, ergonomically designed and powerful rotary hammer is a must have for comfort and maximum production. The powerful 10-amp motor stands up to any job you tackle. With 2500 blows per minute combined with the sequential impact timing, you enjoy 50-percent faster drilling speeds. This unit features a 1 9/16-inch drilling capacity while delivering 680 RPM. It is lightweight at just 6 pounds and accepts SDS Max bits. The one-touch sliding chuck makes it easy and fast to change bits when needed. If your bit jams, the torque limiting clutch on this Makita protects your wrists by controlling the hammer. That’s because it automatically disengages the gears in the second that the bit binds. This Makita is engineered with field core interlocking steel laminations, copper commutator bars and a dual ball bearing armature. This increases the energy transfer efficiency to offer more power and an extended tool life. You can choose between the 2-mode operations of Hammering Only or Hammering with Rotation. Plus, with the 12-bit angle settings, the bit can be set at different positions to make operation convenient. It is important to note that this is not a cordless hammer drill, so you will need to be located near a power source when operating. The tool does come with a generous 9.8-foot cord length. For those who have needed to accomplish heavy-duty demolition work, the Makita has made them very happy. One user said this machine was a beast but yet it wasn’t too heavy for comfortable use. Another customer wished he had bought it a long time ago to complete his jobs. This Spline Shank Rotary hammer easily tops our list of the best rotary hammer drill on the market. It features the next generation of Hitachi hammer technology and packs more power than its predecessor the DH38YE. The ergonomic body is 14.1 pounds making it almost 3 pounds lighter than its previous model. There is a reduction in vibration and noise level when using the tool which is a welcome addition. The DH38YE2 is ideal for drilling holes in concrete to install anchors or rebar. It can also be used for demo work, chiseling concrete and digging, cutting or driving ground rods. The powerful, 8.4-amp motor delivers 950 watts of power to provide you with maximum productivity. The Hitachi produces 5.9 ft-lb of impact energy so you can drill and chisel through concrete quickly. With two modes of operation: hammer only and hammer drilling, you have versatility available to you with the simple turn of a knob. Unlike some other units, the noise level of this machine reaches only 95.2 with a full load. In addition, the safety clutch shuts down all rotation if the bit is bound. With its dust resistant cover, the tool is protected to prolong its lifespan. The auto-stop carbon brushes also prevent motor damage while the sealed grease system contributes to the maintenance-free operation. For a secure and comfortable grip, you’ll enjoy the soft elastomer handle. It also absorbs vibration for additional control during your jobs. Finally, the adjustable 360-degree handle can be removed with ease and provides better control. Unlike some of the other units we’ve reviewed so far, this Hitachi does come with a case to make it more portable. Most professionals who use this hammer drill while working have no problem proclaiming that it is the best rotary hammer drill. One user even referred to it as, “the little hammer that could.” Another customer has used larger models and felt this drill did the same quality of work but was lighter when using it all day. Bosch is a leader when it comes to a high-quality power tool which is why it is easy to include them in the list of the best rotary hammer drill. 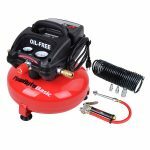 Not only is this unit affordable for all the features it offers, but it is also a great option for tackling medium to heavy-duty household projects. Consider using this for renovating a bathroom or even something simple like installing sliding doors. You’ll find that this lightweight and strong hammer is perfect for drilling into concrete, ceramic tiles and stone. It features an 8-amp motor and 2.6 ft-lb of impact energy with 900 RPM. The integral clutch reduces torque reaction when the drill gets stuck. With the multi-function selector, you can opt to use the drill as a rotary hammer, a regular hammer or for rotation needs only. Whichever setting you choose, you can expect minimal vibrations thanks to the Innovative Active Vibration Control technology. The 360-degree handle is comfortable to hold and affords you some additional control. There is a variable speed 3-finger trigger plus a side grip which is easy to adjust. The depth gauge also helps you maintain optimal drilling accuracy. While it isn’t cordless, this model does feature a long, 8-foot power cord and a high-quality carrying case. The reviews on this power tool are impeccable. One user stated that the drill’s quality and power were second to none. Another customer announced that even though this was his first Bosch product, it won’t be his last. It looks like the quality of this drill has created some loyal customers. If you want to find the best rotary hammer drill but aren’t looking to spend so much money, there are plenty of options available to you as well. Going with a model under $200 is going to lower some of the specs you can expect. You might notice that the drill itself will have less power and features. It could also be a heavier unit. Despite that most of these will still be one of the best rotary hammer drills if you are looking to tackle small to medium-duty jobs. This DeWalt DCH2738 is a compact power tool that offers excellent vibration dampening. It features the trademarked SHOCKS active control which reduces the vibration down to 6.6m/s2. This prevents you from suffering from nerve damage over time. The short barrel and lightweight of just 5.4 pounds make this a great drill for overhead projects. You can also add on the D25303DH dust extraction system to keep debris clear from your work area. The brushless motor was designed to run on batteries but still remain efficient. This offers as much power as a corded drill but with the convenience of not needing a power outlet. Just keep in mind that you have to purchase the battery separately from the tool. The variable speed trigger on this unit controls the SDS+ chuck’s velocity at speeds up to 1100 RPM. If the bit binds up, the clutch was created to reduce the high torque reaction so you don’t need to worry about twisting your wrist. The motor outputs 2.1 joules of impact energy and up to 4600 blows per minute. Not only is this ideal for drilling but also chipping. It is optimized for drilling in 5/32 – ½-inch of concrete. As with many of the DeWalt power tools, you are also covered by the 30-day money back guarantee, 1-year free service contract and 3-year limited warranty. 90 percent of the customers were able to give this product a five-star rating so that should tell you something about the quality. One user stated that this drill, “Makes holes in concrete like a hot knife through butter.” Another said it was an indispensable tool to keep on his truck. There have been plenty of companies that have attempted to copycat the Bulldog but they haven’t come close yet. That’s why this Bosch made the list of best rotary hammer drill on the market. The 8.5-amp motor stands up against masonry and concrete without an issue. The keyless chuck design accepts SDS+ bits with a capacity of 1-1/8”. Delivering 2.4 ft-lbs of impact energy, you can expect to get your jobs done quickly. It also features three settings: drilling only, hammer drilling and chiseling. You would think that a tool with this capability would be bulky, but it’s not. With a weight of just 6.9 pounds and an overall length of 17.4-inches, this tool is relatively compact. With this Bosch, you also don’t need to worry about kickback because there is a built-in control. There is also a counterbalance vibration control so your hands and arms receive less feedback while drilling. You might even enjoy the hammer hook that allows you to hang the tool so you don’t have to keep bending over to pick it up. Finally, the trigger offers variable speeds which are easy and precise. It is combined with a Vario-Lock which allows you to rotate the chisel in any direction you wish. From reading through the customer reviews, it seems that you can’t go wrong making this the pick for the best rotary hammer drill. One person used it every day to do their electrical work and said it never disappointed him. Another customer said that not only did this drill work seamlessly for him, it never hurt his hands either. What’s in the Box: Bosch GBH2-28L 1-1/8 In. Rotary Hammer, Auxiliary Handle, Depth Gauge, and Carrying Case. In the mid-range models of the list for the best rotary hammer drill, you’ll find this Makita offering. It is an expansion of the 18V LXT Sub-Compact line and is ideal for working in tight spaces and overhead applications. This tool is ideal for the contractor who wants the size and handling of a 12V tool but with the power of a 18V. With the brushless motor, you can experience 50-percent longer run times, an increase in power and speed plus longer tool life. There are two modes of operation: rotation only or hammering with a rotary. That means there is no chiseling mode as with some other models. The variable speed trigger allows this tool to operate at 0-680 RPM and 0-4,800 RPM. It also produces 0.88 ft-lbs/1.2 joules of energy during light-duty applications. The vibration absorbing handle also moves independently from the motor and hammer mechanism. It also features a one-touch sliding chuck that allows for quick changing of the SDS+ bits. There are built-in LED lights so the work can be illuminated in darker places. Finally, you are covered by the limited 3-year warranty for additional peace of mind. There aren’t many reviews on this hammer drill yet, but so far they are all positive. Many people have commented on how well the battery holds up and offers power like a corded tool. If you are in need of the best rotary hammer drill with a lower price tag, this DeWalt is a great option. With the 3 joules of impact energy, you can achieve fast drilling and chipping speeds. The powerful 8.5-amp motor will fit most of your needs while still offering the patented SHOCKS active vibration control for your protection. The rotating brush ring is capable of delivering full speed and torque when used both in forward or reverse. There is also an integral clutch that reduces the sudden, high-torque reactions when the bit jams. This is a slightly heavier unit compared to some we’ve been reviewing. At 6.8 pounds and a 17.5-inch length, you’ll notice that it might seem a little bulkier than some other options. The added weight helps when dealing with heavier-duty jobs, so keep that in mind. This drill features variable positions so you can lock in a position either horizontally or vertically. In addition, there are three settings: drill without a hammer, drill with hammer and hammer only for the chisel. Like the other DeWalt models, you are covered by the 30-day money back guarantee, 1-year free service contract and 3-year limited warranty. Overall customers have been pleased. Many of them were surprised by the amount of power the unit offered. In addition, there have been several comments about the lack of vibration during use. It is true that you can still find the best rotary hammer drill while on a budget; you’ll just have to lower your expectations slightly on the features. You can spend less than $100 but you might not be able to get a brand name drill. In addition, you can expect less power. If you are simply using the drill for a few random household tasks, a budget should serve you well. It is not recommended to use one of these options as a professional contractor or as someone completing projects on a consistent basis. Why use a bigger drill when the job doesn’t require it? This light 18-volt Ryobi is a top contender for the best rotary hammer drill at a reasonable cost. It handles most of the holes homeowners will need to make and features two modes: rotary hammer and rotational drilling. There is no chisel function on this tool which is a disappointment to some. You can easily change between the modes by using the handy dial located on the left side of the drill. In addition, the GripZone overmold is comfortable and light. Ryobi also features an LED work light with this unit which I didn’t expect to see considering the price. The cord-free design and lightweight both make it easy to use this tool anywhere. When you need to drill a few holes, it just doesn’t make sense to pull out your larger tools. This makes a great addition to your tool arsenal even if you already have a higher end rotary hammer drill. While this unit doesn’t come with the battery or charger, it will fit many that are used by other Ryobi 18V power tools including the P100, P101, P103, P104 and P106 batteries. Many of the customers have commented on the amount of power they’ve received for the price. It has been an overall good value for many, even for some tradesman who are using it on a daily basis. This Bosch offers a nice combination of impact energy, power, drilling speed and comfort. It features a vibration control for your protection and to provide an excellent performance. There are also three modes of operation: rotary hammer, hammer only or rotation only. The Bosch features a two-step process to reduce the overall vibration. It begins at the impact mechanism and moves onto the handle design with rubber dampening elements. Powered by a 4.8-amp motor, you’ll find that this has the power needed to complete most tasks even though it is less powerful than the higher priced models. It does weight 8.9 pounds and provides 2.6 ft-lbs of impact energy making it a top choice as the best rotary hammer drill. This drill can get through concrete just like butter and it isn’t that heavy considering the price. The only downside is that it does seem to require a little more pressure in order to hold the trigger down. This can become slightly tiring if operating the unit for longer periods of time. You would think for under $100 you wouldn’t be able to get the best rotary hammer drill, but that isn’t necessarily true. Depending what your needs are, the drill might be the best for you! As a casual user or DIYer, this drill is really all you would need. 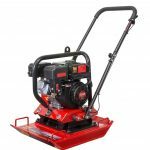 It features a 100-watt motor and can be used to work on steel, brick or concrete. The hammer features a 360-degree auxiliary handle for optimal comfort and grip. It is also textured so you won’t drop it easily. Surprisingly, this model features three built-in modes: hammer/chisel only, drill only (rotation and hammering and rotation. It also features a 6-speed control for some added precision. You can expect 1-inch steel and 1 ½-inch concrete capacity out of this low-cost drill. It does feature a smaller 6-foot cord which could be a problem for some users. As an added bonus, the unit seems to come with a lot of extras, but the reviews tend to be iffy. Mainly it seems people are attempting to use this drill for more than it is meant for. If you are performing low to mid-load projects, this should perform satisfactorily for you. Most of the users who understood that this model wasn’t a powerhouse or meant for heavy-duty uses are very happy with their purchase. It seems to be working well for the occasional household project. Choosing the best rotary hammer drill for your jobs is critical, but it isn’t always easy to decide which one fits the bill. You’ll find no matter what project you are working on, the need for drilling holes in concrete requires precision. Key factors in making a selection are going to include drill bit types, availability of power and the type of job you are working at. Before you decide on the best rotary hammer drill, you need to determine the size of the holes you need to drill. Each tool features an optimal drilling range that you can use to determine if it is right for your needs. Occasionally, you can drill at full capacity, but you don’t want to constantly be pushing the hammer to extremes. Eventually, it will fail on you. If you are in need of drilling larger holes than what a unit is capable of, it is time to move up a model or two. While drilling the holes, be sure you don’t apply too much pressure. Allow the rotary drilling to do its job so that you can increase performance and durability of your hammer drill. Choosing the best rotary hammer drill means you pick a model that is versatile. It should be able to drill fast and precise holes while also supplying efficient performance. Most rotary drill hammers use one of the following bit/tool interface systems: SDS-plus, SDS-max or spline. Spline has been used for many years but is gradually being replaced by newer technologies. The rotary hammer drill is just part of a system. The bit is also an essential aspect. There are a variety of bits you can choose from to use with the best rotary hammer drill to make it even better. Carbide bit technology seems to deliver performance more efficiently for most jobs. Optimized flute designs also help to remove dust faster which extends the life of your drill. A full-head carbide bit provides up to four times the life compared to standard bits. When searching for your best rotary hammer drill, you are likely to get confused about the difference between the rotary hammer and the hammer drill. Hammer drills and rotary hammers both produce the pounding force that is needed to get through masonry work. While spinning, the bit chisels away at the masonry. It is the mechanical process behind the two products that sets these apart. Hammer drills feature two discs with ridges. They resemble the ridges of a poker chip. While one disc slides past the other, it will rise and fall. This causes the chuck to slam forward and back. When there is no force placed on the chuck, the discs are separated by the clutch and the pounding action stops. You can often use a hammer drill just like a regular drill when you shut off the hammering action. A rotary hammer, on the other hand, creates its pounding motion with the help of a piston driven by a crankshaft. The piston creates air pressure and that is what drives the hammer movement. A rotary hammer is going to provide more impact energy than your standard hammer drill. In addition, the rotary hammer is more durable and preferred by the professionals. Most rotary hammers feature three settings: drill mode, hammer drill or just standard hammer. This means that they can also act like a miniature jackhammer. For all these additional features, you can expect to pay more for a rotary hammer, especially if you choose the best rotary hammer drill on the market. Drilling holes into concrete and masonry doesn’t have to be as difficult as it sounds. With the best rotary hammer drill in your tool arsenal, you’ll have the power to complete any job with ease. Start by determining what your needs are. Make sure that you purchase the best rotary hammer drill to fulfill those requirements. You don’t want to choose a model that is underpowered or you will end up with a broken tool. Research your options carefully and make sure to read through helpful reviews. You’ll also want to keep your budget in mind as you search between the various options. It is very easy to spend several hundred dollars on the best rotary hammer drill, but you don’t always have to. Once you make the leap into this new world of drilling, you’ll never look back. In fact, chances are that you’ll be finding excuses to use your drill on a regular basis for other projects around the house.